Lamborghini Diablo – legendary model of Italian a luxury sports automobile manufacturer which came in the stead obsolete Lamborghini Countach. At the heart of design of model Diablo – characteristic directions of the ninetieth years lie, but in comparison with the previous model of Lamborghini the car possesses the refined forms and elegance of execution. 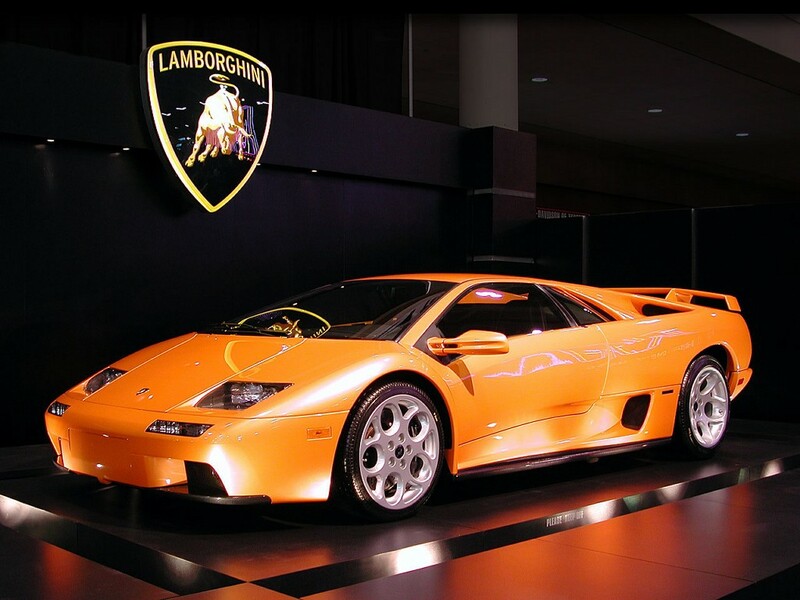 The first tests of Lamborghini Diablo spent in one thousand nine hundred eighty ninth, to the beginning of the ninetieth year prepared for manufacture, and since ninety first went on sale. The new V-engine in 5,7 liters provided with a working volume capacity in 492 horsepower’s, a new gear box, the maximum speed in 323 kilometers per hour which has been exceeded on official tests and made three hundred thirty seven kilometers per hour. After Lamborghini Diablo GT presentation on a showroom in Geneva in one thousand nine hundred ninety ninth it became treasured dream of motorists. In 1994 the presentation of new version Diablo – VT took place and SE-30. Engine for these models it turned out especially successful – its capacity has been finished to five hundred twenty horsepower’s. The car became the fastest car of time. Its version – Lamborghini Diablo SE-30 Jota equipped with an exhaust system of open type deprived of competitors of last chance for victory achievement. The weight of a body made of a carbonaceous fiber and aluminum alloys of only one thousand four hundred fifty kilos, in an inner trim there was nothing superfluous is a fashion of sports style. Lamborghini Diablo engine surpassed all expectations. Its capacity reached almost six hundred horsepower’s. The unique lack of Lamborghini Diablo SE-30 Jota, absence of the muffler, limits its operation on the majority of lines of Europe. Rich motorists made more and more high demands to expensive marks of sports cars of a class “lux” that caused of installation of the increasing number of the additional equipment owing to what Lamborghini Diablo VT model is a roadster with folding top which is capable to reach speed in ninety six kilometers per hour of all for three-four seconds. The quantity of sales sharply increased. Only in America in one thousand nine hundred ninety sixth it has been sold thirty two cars at the price of two hundred fifty thousand dollars for each car. Lamborghini Diablo last car has been exhausted in 2000. Its design this perfection – its design and body geometry has been in addition modernized, and the engine – V12 reached volume in six liters and capacities in five hundred fifty horsepower’s. Lamborghini Diablo VT 6.0 and VT 6.0 SE – these models of racing cars have not equal, after all their engines allow to accelerate momentum in three hundred thirty kilometers per hour.